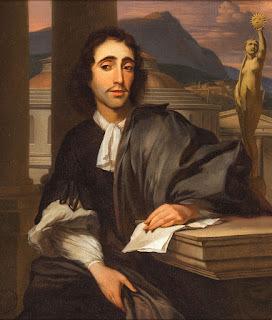 As I have stated on this blog, and elsewhere, a materialist reading of Spinoza perhaps begins with EIIP7 and its related demonstrations and scholium. "The order and connection of ideas is the same as the order and connection of things." In place of hierarchy and causal impact Spinoza places ideas and things in a relation of identity and non-identity. How exactly to articulate this relation has lead to multiple interpretations. I would like to highlight three, Deleuze, Macherey, and Jaquet. The selection and order of authors reflects my own encounters and reading, the seemingly contingent order of nature, and not a necessary conceptual progression. Deleuze dubbed his interpretation parallelism. Parallelism stresses first the univocity of things and ideas, seeing them both as expressions of the same substance. As Deleuze writes, "By his strict parallelism Spinoza refuses any analogy, any eminence, any kind of superiority of one series over another, and any ideal action that presupposes a preeminence: there is no more any superiority of soul over body, than of the attribute of Thought over that of Extension." Deleuze choice of parallelism as a term is unfortunate, as he seems to acknowledge. As much as it captures one side of the relation, that of difference, the fact that ideas determine ideas and bodies determine bodies, it effaces the other, that thought and extension, mind and body, are two different ways of grasping the same thing. Parallelism suggests that there are two things, two lines, when they are two different ways of viewing the same substance. On the first, horizontal, axis, an assemblage comprises two segments one of content and one of expression. On the one hand it is a machinic assemblage of bodies, of actions and passions, an intermingling of bodies reaction to one another, on the other hand it is a collective assemblage of enunciation, of acts and statements, of incorporeal transformations attributed to bodies. Then on a vertical axis, the assemblage has both territorial sides, or reterritorialized sides, which stabilize it, and cutting edges of deterritorialization which carry it away. The order and connection is no longer that of substance, of God or nature, but of the processes of deterritorialization and reterritorialization in society. The order and connection is shifted from metaphysics, the order and nature of the universe, to politics---"politics precedes being." This shift is made possible by Marx, the mode of production as the order and connection of production and ideology, or more to the point, Foucault. As Deleuze argues with respect to Foucault the order of statements, discourse, and the assemblage of bodies, do not causally determine or refer to each other, but stem from the same relations of power. The shift of the terrain from the metaphysical to the political makes it possible for Deleuze (and Guattari) develop what was always at stake in parallelism, not just the univocity of being, but, more importantly, a relation between ideas and things, ideology (or discourse) and material forces, that is neither one of causality or expression. They are part of the same process of transformation.